Can any bag or pouch be used? No. Different foods, processes and end uses require different packaging.A simple package may consist of many layers of specialised plastic which perform a specific purpose. If the wrong type of plastic is used, results can be disastrous. Why are different plastics used? The range of plastics used in packaging is large. Each type has a specific function and purpose including protection, appearance, shelf life, recyclability, sous vide cooking, and cost. eg. loaf of bread – expected to be used in 2-3 days; typically packaged in polyethylene bags without an air tight seal; block of cheese – expected to be kept longer but tends to spoil quickly; therefore vacuum sealed inside a complex layered plastic blend consisting of polyethylene/nylon/ ethyl vinyl alcohol. Yes. Along with other factors it can play an important part in food preservation and protection. Thickness (also called gauge) is measured in microns(1/1000th of a millimetre). 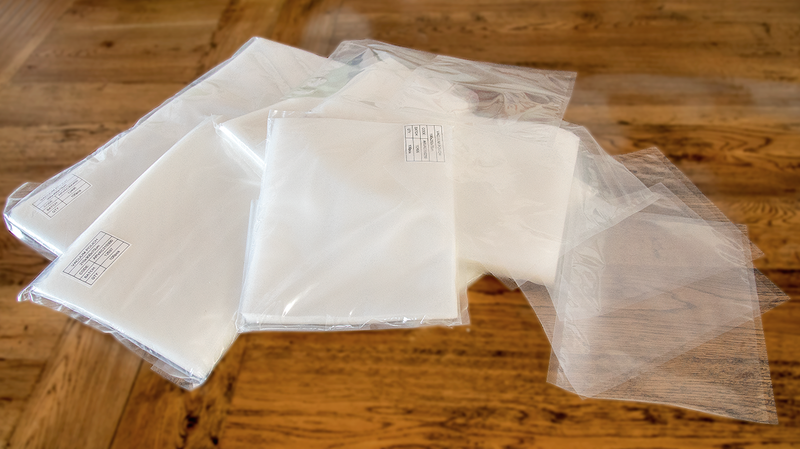 Typically, a standard vacuum pouch will bearound 70 microns, suitable for sous vide cooking in a waterbath with the Roner thermostat. For cooking/boiling above 90oC, thicker bags (90 microns) are recommended.